Identifying your sales goals and measuring the correct metrics are the only ways to attain a high ROI from a social selling strategy. Fact is, salespeople and marketers planning to spend a significant chunk on their social selling programs should be able to prove the viability and ROI to senior C-level executives. Unfortunately, with so many metrics, there is a common misnomer that social selling can’t be measured. Conversely, it can be measured, should be measured, and need to be measured. When you plan to adopt social as a communication channel while integrating into a traditional sales process, you need to have reliable data at your disposal. The fluff metrics should be taken out of the equation. Only the real and tangible KPIs would work…and that’s precisely the theme of the article today. Kevin T Tully is the Global Director of social selling operations for Creation Agency. 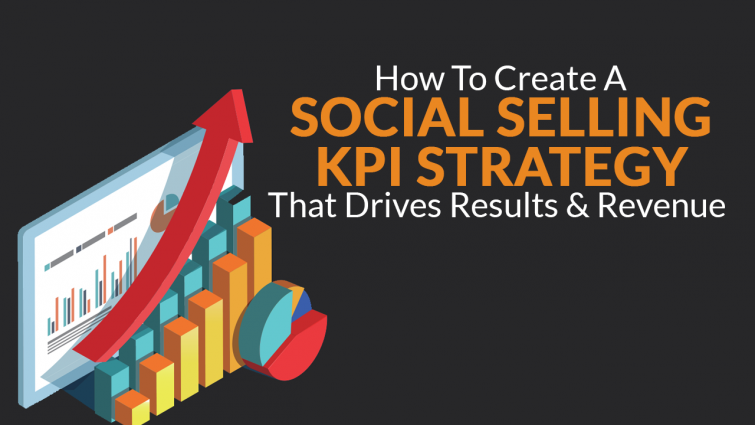 In an insightful discussion with Jack Kosakowski, Global Head of social sales at Creation Agency, Kevin talks about a definitive process for setting KPIs for a well-crafted social selling program. Check out a few takeaways from the interesting discussion. What’s the ultimate goal for a social selling program? “Sales processes” are the actual profit centers. That’s why you have to measure these processes by revenue-generating metrics only. That’s one goal that should be at the center of every social selling strategy – a fact that can never be underestimated. How to separate the social buyer versus the traditional buyer? Take a look at the Klout score. Then decide the minimum threshold only for the prospects who are social enough. CRM – Being a complete database of all your sales records, a CRM is at the center of everything. It’s also needed for the marketing department to track the whole funnel effectively. A must-have tool for any serious organization. Social amplification platform – You should offer salespeople easy access to the best content they can take to their social networks – and it’s not limited to just the in-house content. LinkedIn sales navigator – This is where your prospecting takes place, and you look for companies that you want to target. This is where the concept of being visible, valuable and connected comes into the picture. Email sales acceleration – A marketing automation system can be set up to listen to content that is pushed out to see how your contacts are interacting with that content. Something like Act-On is a classic example of marketing automation software that could make your life easy. Accurate measurement gives you visibility and visibility is everything. 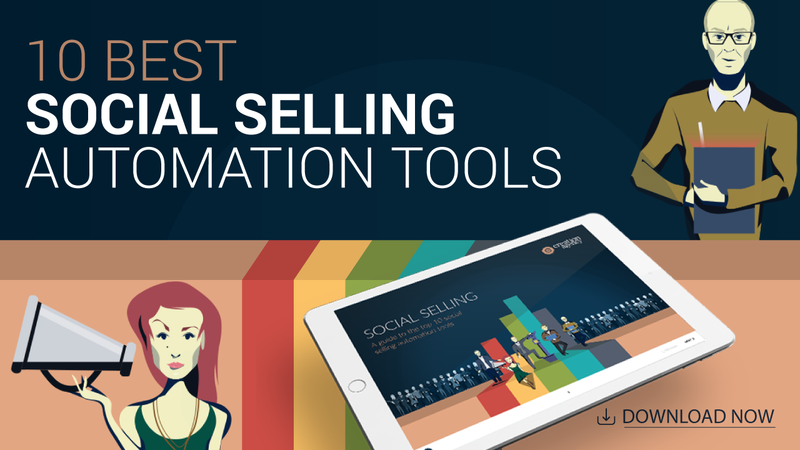 These technologies also bring the behavioral aspect of social selling into the picture; the only way to sell today. What are the KPIs that matter? Social value touches – You need to track the social value touches systematically. Once you start following the “touches,” you’ll see the incredible impact they have on your sales process. New offline opportunities – For any sales process, offline opportunities are pure gold. You should always track every offline opportunity that comes from an online source. New opportunities created (from lead source) – Divide and analyze the opportunities based on the kind of lead source you have. Find out the impact of these “individual touches” on your overall sales process. Pipeline velocity and sales cycle reduction – Salespeople have to understand how to keep the cycles short, and pipeline velocity high. The faster a deal moves through the pipeline; the shorter your sales cycle will be. Cross/sell Upsell opportunities – Data proves that it’s far easier to sell to a repeat customer. This effectively means every organization should try and find hidden revenue streams and try to create the cross-sell/upsell opportunities. Referrals – Referrals or outbound social network can help you connect with somebody that you don’t know. This is a high revenue-generating activity if you’re able to track it right. Attribution – Ensure that every touch is getting the attribution inside Salesforce. This is a crucial step to know all about online communication. You can be the best salesperson in the world, but only a sales pitch is not going to close the deal. There are other steps you have to take to strengthen your relationship, strengthen your value, and strengthen the mindset of your buyer. Tracking the attribution around the selling piece is just as important as actual selling. Engagement reporting (Social value touches) – For social selling, the social value touches are measurable and predictable data points that sales must use in the daily workflow to generate the revenue. You need to effectively track and ensure your sales teams are aware of every social touch. Tracking stages – You need to track every online conversation till it closes, and the process should continue all the time. The value and sales touch happening along the sales funnel will tell you what your best shot is. Unfortunately, most companies rely on guesswork when trying to track the results of their social selling programs. You’d never find a company that had some longevity with guessing as a strategy. For long-term success, you need a bulletproof analysis. The insights gathered over the entire process will help you with better numbers and fast deals. If you’re faced with a similar challenge while measuring your social data and want some real-life hacks, sign up right away! The lively webinar discussion is available on demand. You can have the instant access to the full recording.